Summary: Hardships and heartache brought them together…now it will tear them apart. Layken and Will have proved their love can get them through anything; until someone from Will’s past re-emerges, leaving Layken questioning the very foundation on which their relationship was built. Will is forced to face the ultimate challenge…how to prove his love for a girl who refuses to stop ‘carving pumpkins….’ Review: This book was Butterflying awesome!! Took me less than a day to finish it! I really love that sequel and it does tie up very well with book 1 kudos Colleen. I don’t really have much to say for this book that I haven’t said in book 1. Concerning the characters and relationship refer to my review for SLAMMED and you’ll get it. Colleen also introduced a couple of new characters that are lovable and do have a role to play tool. The story is very well written too and it manages to take you by surprise a few time. Again be ready for a real rollercoaster of emotions…you’re going to laugh, cry, be angry and love all over again. 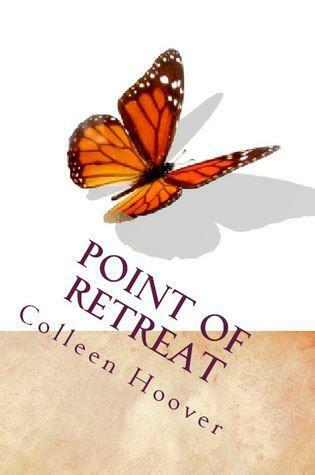 In conclusion if you liked Slammed you will enjoy Point of Retreat too. I will give it a slightly lower rating for a tiny reason, I love the feeling of “forbidden” love from book 1 that I don’t have in book 2 and some part could have been developed a bit more.